Zlindra D, Eler K, Clarke N, Simončič P (2011). Towards harmonization of forest deposition collectors - case study of comparing collector designs. iForest 4: 218-225. 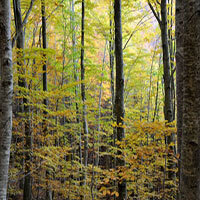 In recent years the harmonization of methods in the frame of the International Co-operative Programme on Assessment and Monitoring of Air Pollution Effects on Forests (ICP Forests) operating under the UNECE Convention on Long-range Transboundary Air Pollution (CLRTAP) has been intensified. Among the C-actions of the FutMon project (LIFE07 ENV/D/000218; 2009-2010) the C1-Dep-22(SI) action was established with the goal to harmonize and develop the deposition monitoring procedures and sampling methods. The sampling equipment, spatial design of sampling plots and sampling frequency throughout Europe vary considerably. Therefore a step-by-step approach was made where the harmonized sampling equipment was developed and tested first. The selected collectors were installed at one observation plot of each participating country where measurements of throughfall and bulk deposition were run in parallel with the national collectors for a period of one year. To evaluate the agreement between methods, different statistical analyses were used including Altman-Bland plots, model II regression, and repeated measures ANOVA. Preliminary results from the “Intensive forest ecosystem monitoring plot” plot Brdo in NW Slovenia show a good agreement between national and harmonized bulk (both funnel-type) collectors, while comparison of throughfall measurements indicates systematic bias between harmonized (funnel-type) and national (gutter-type) collectors. Measurement in medicine: the analysis of method comparison studies. The Statistician 32: 307-317. Statistical techniques for assessing the agreement between two instruments. Metrologia 44: 385-392. Statistical methods for assessing agreement between two methods in clinical measurement. Lancet 1 (8476): 307-310. Agreement between methods of measurement with multiple observations per individual. Journal of Biopharmaceutical Statistics 17: 571-582. Field intercomparison of throughfall measurements performed within the framework of the Pan European intensive monitoring program of EU/ICP Forest. Environmental Pollution 125: 123-138. Partitioning of rainfall in a eucalypt forest and pine plantation in southeastern Australia. I. Throughfall measurement in aeucalypt forest: effect of method and species composition. Hydrological Processes 4: 131-144. Sample size requirements for estimation of throughfall chemistry beneath a mixed hardwood forest. Journal of Environmental Quality 18: 274-280. Numerical ecology (2nd edn). Elsevier, Amsterdam,The Netherlands, pp. 870. Evaluation of regression procedures for methods comparison studies. Clinical Chemistry 39: 424-432. Rainfall partitioning by vegetation under Mediterranean conditions. A review of studies in Europe. Journal of Hydrology 335: 37-54. Statistical techniques for comparing measurers and methods of measurement: a critical review. Clinical and Experimental Pharmacology and Physiology 29: 527-536. Using Altman-Bland method to measure agreement with repeated measures. British Journal of Anaesthesia 99: 309-311. Interactions between precipitation and Scots pine canopies along a heavy-metal pollution gradient. Environmental Pollution 106: 128-137. Throughfall and stemflow in the forest nutrient cycle. Advances in Ecological Research 13: 57-133. Measurement and significance of throughfall in forest stands. In: “Water relations of plants” (Rutter AJ, Whitehead FH eds). Blackwell Scientific Publications, Oxford, UK, pp. 127-141. Trough versus funnel collectors for measuring throughfall volumes. Journal of Environmental Quality 20: 518-521. The significance of the systematic error in rainfall measurement for assessing wet deposition. Atmospheric Environment 20: 1059-1064. The effect of orifice rim thickness on the wind speed above precipitation gauges. Atmospheric Environment 28: 1939-1944. Biometry: the principles and practices of statistics in biological research (3rd edn). W.H. Freeman, New York, USA, pp. 888. Measurement of atmospheric deposition under forest canopies: some recommendations for equipment and sampling design. Environmental Monitoring and Assessment 52: 353-387. Guide to meteorological instruments and methods of observation (7th edn). World Metereological Organization Publication, no. 8, Geneva, Switzerland. Throughfall in an evergreen-dominated forest stand in northern Thailand: comparison of mobile and stationary methods. Agricultural and Forest Meteorology 149: 373-384.